Are you one of the 4.6 million people in Canada who suffer from osteoarthritis? Where all other treatments have failed, GLA:D Canada provides perceptible results and long-term relief. GLA:D Canada is an 8-week evidence-based education and exercise program dedicated to assisting those with knee or hip osteoarthritis. After its tremendous success in Denmark, the program is now available in Canada and has already made a very positive impact. Participants of the program have reported less pain, reduced use of painkillers and being more physically active, with a drastic reduction in sick leave. If you suffer from osteoarthritis and you live in or around Richmond Hill, you can now join one of our small groups as part of the GLAD program – Call (905) 237-7174 or use our live chat on the site for registration or information. Did you know that osteoarthritis affects over 10% of youth aged 15 and older in Canada? Startling research findings have also shown that about 38% of youth aged 20 and over and 28% of people aged 60 and over have been diagnosed with osteoarthritis, making it one of the most prevalent chronic illnesses. Affecting more Canadians than all other types of arthritis combined, it is essentially a progressive disease that erodes joint cartilage and underlying bone, sometimes leading to disability. Osteoarthritis is expected to increase significantly over the next couple of years — which is why effective treatment for this disorder is necessary. When it comes to the programs currently in place for osteoarthritis, many focus on the medical and surgical treatment rather than patient education, exercises, and weight loss in their treatment plan. However, with GLAD, it allows patients with hip and knee osteoarthritis to start the program during signs of first symptoms. The program has assisted with pain reduction and improving functionality and quality of life. After the launch in Denmark, it has seen success with patients and has gained massive interest from health professionals and the media. With a program that functionally improves participants’ abilities while increasing their quality of life, the sessions have earned a symbol of satisfaction within the osteoarthritis community. Each education session will teach the program participants about what exactly is osteoarthritis, its symptoms, and associated risk factors. It will also encompass essential tips on how to self-manage the symptoms and cope with the challenges of everyday activities that come along with this condition. Other aspects included in these educational sessions include current treatment options available and various exercises that can help you with osteoarthritis. Warm Up: In the beginning, a 10-minute warm-up is done on an exercise bike and adjusted accordingly to the individual’s goals and capabilities at the time. The difficulty level of exercises increases with each session to get the warm-up going. Circuit Training: The circuit training encompasses the following activities: core stability, postural orientation, muscle strength in the legs, and functional training exercises. The pattern of the activities depends on the findings from the initial assessment of the individual. Once the individual is able to perform the exercise with ease and control, the difficulty is raised. Exercises are performed with both legs, but the focus is on the affected leg. Completing these activities in front of a mirror allows the participant to have visual feedback of the movement, thus understanding how to improve their ability. Cool Down: Once the intense training is completed for the session, walking and stretching exercises for your legs are conducted in front of a mirror for about 10 minutes. The third and final component of GLA:D Canada program is dedicated to measuring and monitoring how you are doing, not just during this program, but even after 3 and 12 months since you started the program. This information is then used to analyze how helpful GLA:D Canada program has been for people with osteoarthritis, and then deploying the findings to further improve the program. Your Journey to Recovery Begins With a 5 Minute Phone Call! 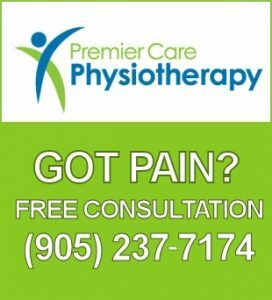 Whether you’re experiencing the first symptoms or are at an advanced stage, call our medical experts at (905) 237-7174 for a free consultation.